The superwarm spring/summer weather disappeared literally overnight, as did the summery feeling from my card crafting. My Bugaboo penguin besties participate in C.R.A.F.T. 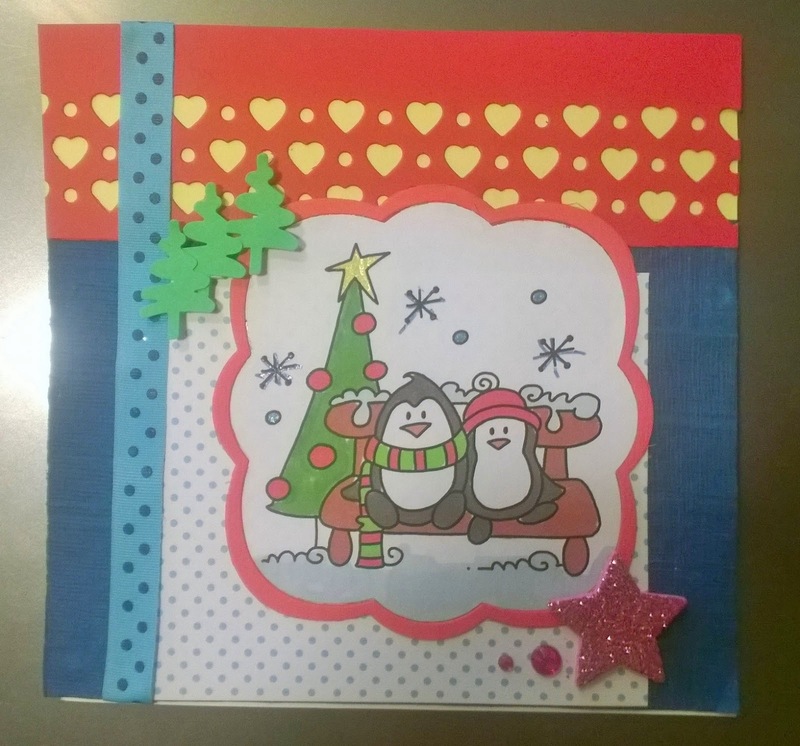 (Color combo, Here comes the sun), Crafting by Designs (Friends / Friendship makes the World go 'round), Sketchy Colors (Sketch, tilted), CSAYL (AG) and CHNC (Christmas in your Country - well snow and Christmas tree are a given for Christmas in Finland). this is so lovely and adorable! Great card. Cute image and nice colors. Those two are so very cute sitting there on their bench all colored up nicely! Thanks for joining us at CSAYL this week. Hope to see you play along with us again soon!